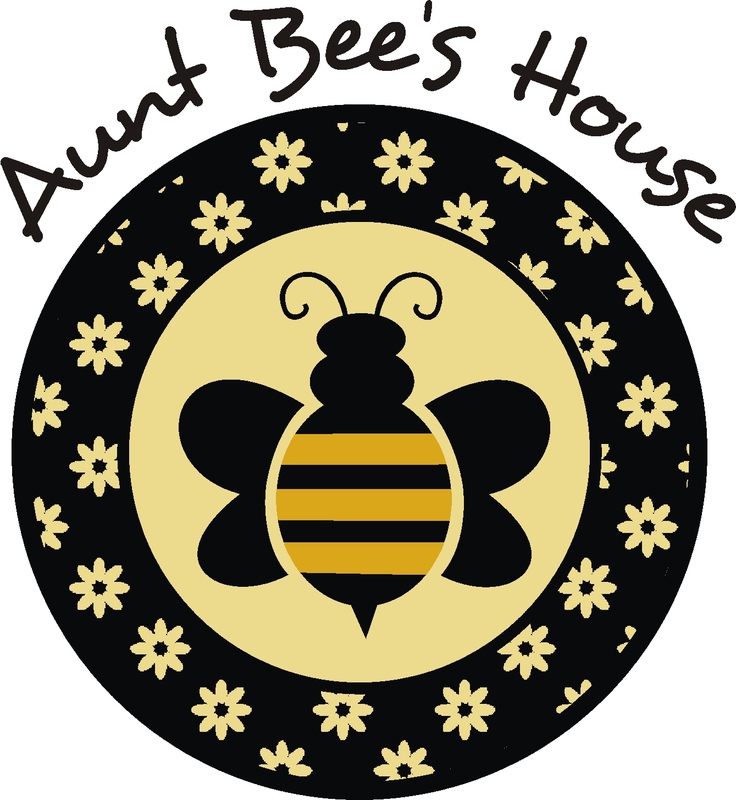 A couple weeks ago I was fortunate to attend an Annie Sloan workshop! It was one of the most fun days I've had in a long time. I can't remember the last time I smiled that much. My favorite technique that we learned that day was one that I couldn't wait to try out at home! 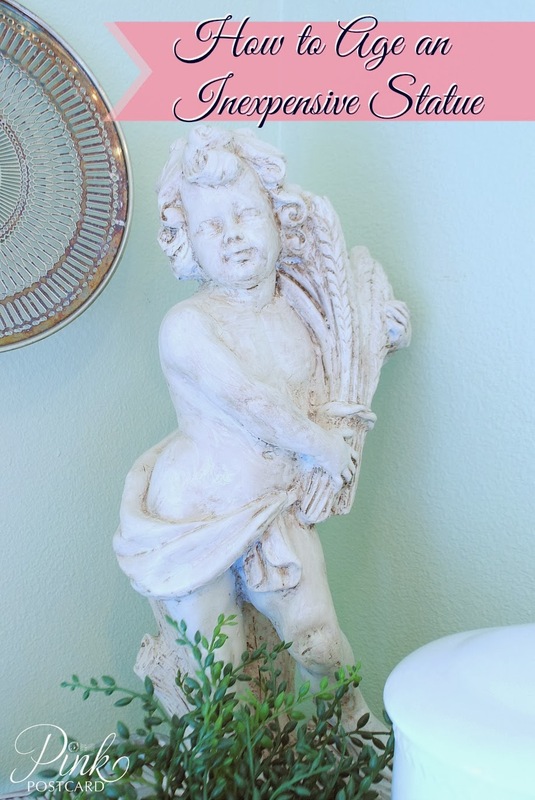 I've had this little statue in our nook for awhile. 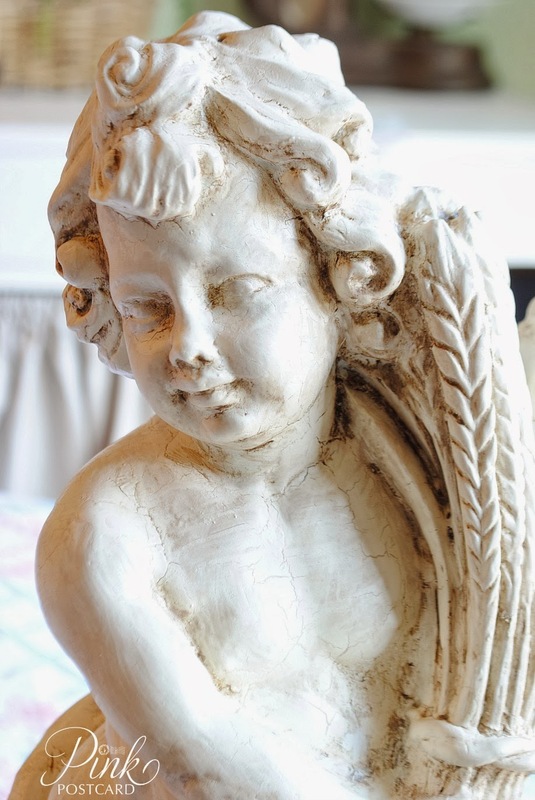 They add an air of sophistication and antiquity to a room. I've never been big on pedigree though. Most of my statues are found locally and stamped "made in Mexico". I'm fine with that, because I want the 'look', not bragging rights on where it was originally made. This one is even more humble, in that it wasn't even plaster. Originally it was charcoal gray and I simply spray painted it in an antique white. But lately, I've thought about aging it a bit, and this seemed like a fun technique to try it out on. 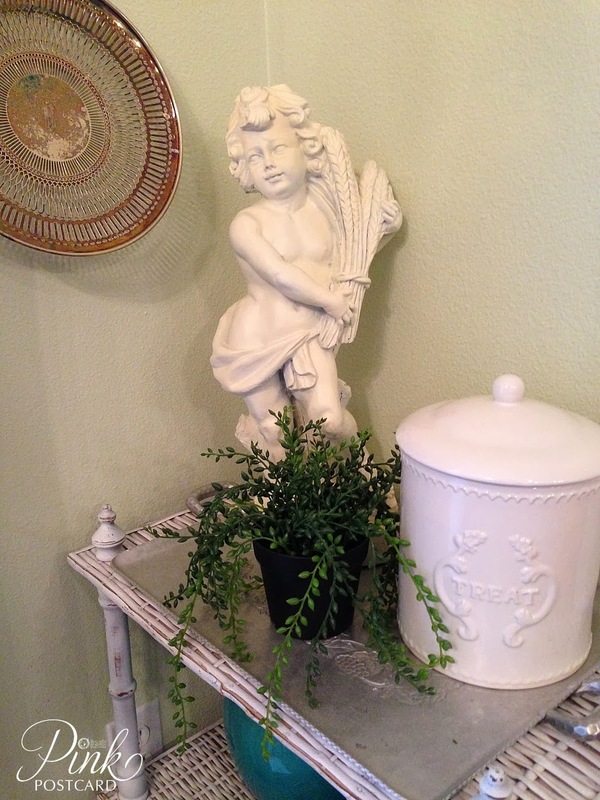 I used Annie Sloan's Old White. I popped it in the fridge with the lid off for about 2 1/2 - 3 hours and let it get nice and chilly. After stirring it up, I went really heavy on the application. It gets pretty thick from being cold. Since this is a smaller statue, I painted it all and then went on to the next step. If you were working on a larger piece, you might want to do it in sections. Part Two involves a hair dryer. Using the hottest setting, I held the dryer as close as possible to the wet paint, and went over it section by section. You want to focus the heat on one area without moving it around much so it dries super fast. See how the heat made the paint crackle? That's what you're going for. Once it was dry, I got out my dark wax, and coated the entire statue. A chip brush worked great to get in all the crevices. I wiped down the statue with a rag, and it was still pretty dark and streaky- but that's ok. 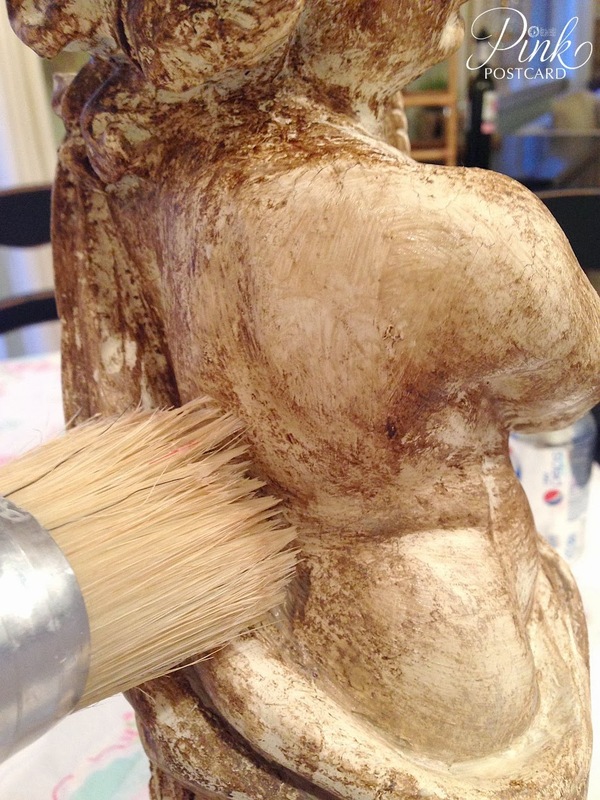 Using the clear wax and my round wax brush, I went through section by section on the statue, and "erased" a lot of the heavy dark wax application. Adding clear wax over the dark will significantly lighten it, and buffing it out takes out a lot of the dark and adds a nice, softer patina. The fun part about this technique, is that the cold paint and the hot heat from the dryer allows the paint to crack like aged plaster. 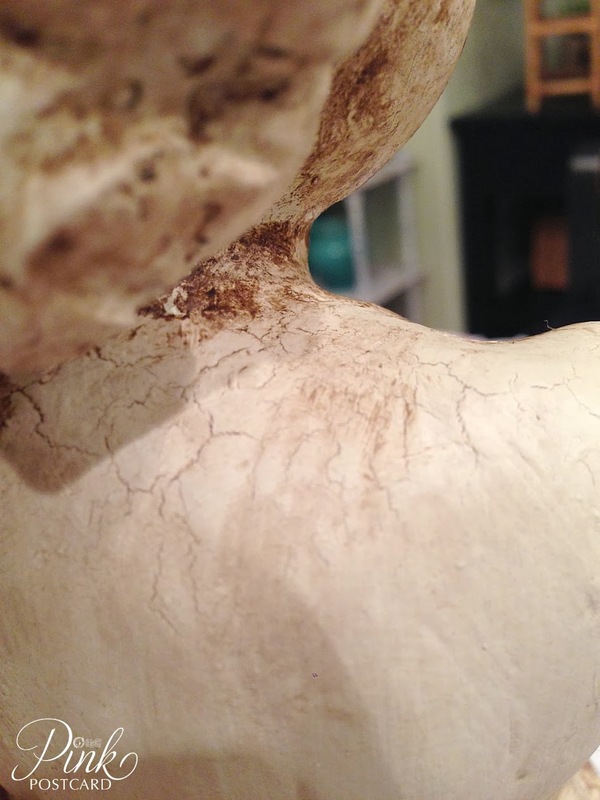 The dark wax highlights the beautiful patina I created by settling in to the cracks. Sometimes a glob of paint might bubble from the heat and then you get a wet pocket that opens up while waxing. Don't stress over it; it adds another dimension that looks like cracked plaster, or ends up being a milky wash with your dark wax. The waxing definitely takes some time and patience on this kind of piece, but it's so much fun to discover what is happening, that it makes the process fun! I worked on this while watching the Oscar's on Sunday night. 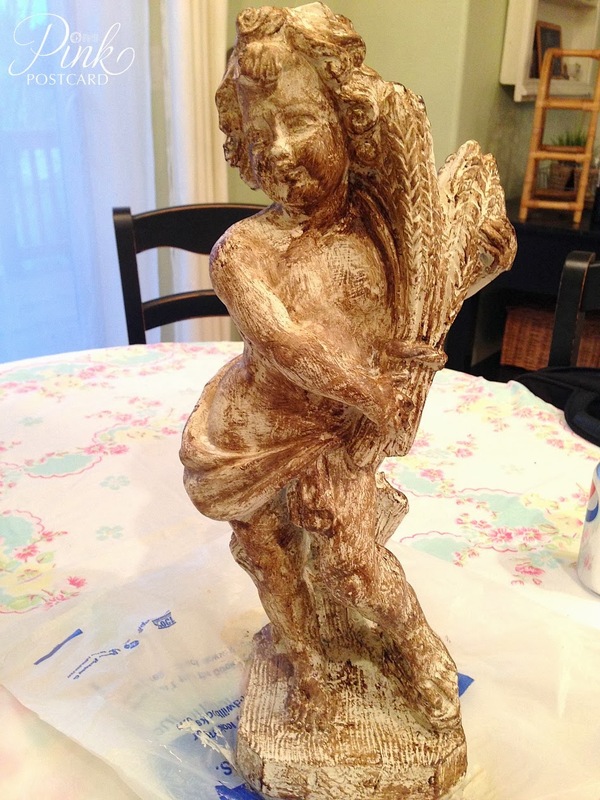 My $14.99 purchase from TJ Maxx, now looks like an aged plaster statue. Are you going to try this technique? I'd like to do this on furniture, but want to find the right piece to try it out on! P.S. In case you were wondering, the workshop I took was from Cheryl at The Big White Goose in Oregon City. She is so much fun, and a true artist at heart! You can look her up on Facebook to see her class offerings. Wow, this is really great. Love how it turned out. This is great, Denise! 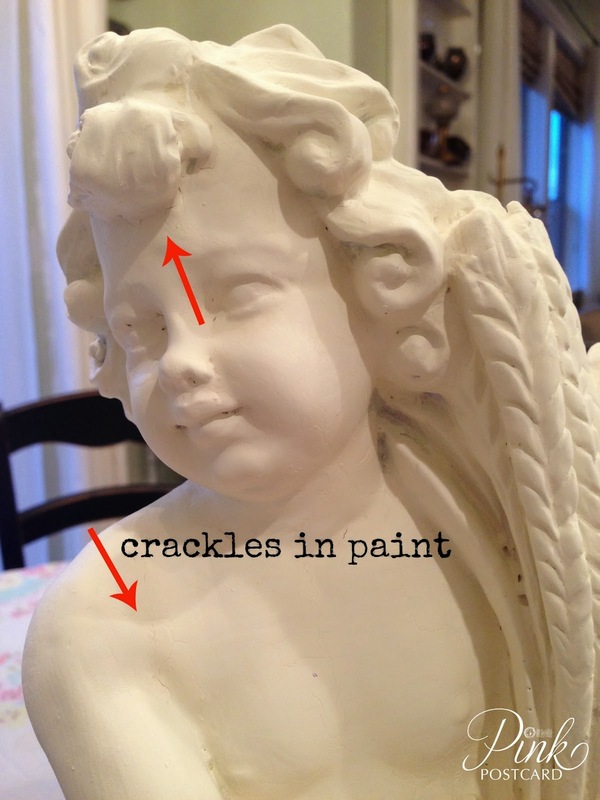 I'm going to try this with Plaster Paint and see if the effect is the same! Love it! Oh my that looks fabulous! I'm a big chicken on trying stuff like this. Great job! It looks sooooooo good now! Love seeing your technique to age these little sweeties! the cold paint/hair dryer and waxing makes it look really authentic! LOVE IT!!! Yes...I have a few resin pieces that I am going to try this on. Thanks so much for sharing this technique with all of us. aw bummer Tonya! :( I like the Folk Art chalk paint too, but I mostly use it when I am just doing a vintage frame or small er, quicker project. 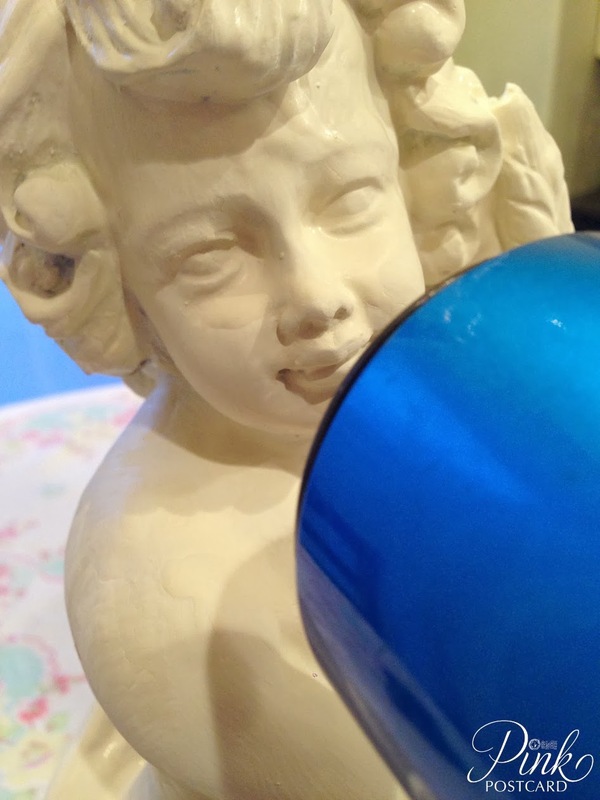 I hope you can give it another shot on a different project with Annie sloan or one of the other chalk paints!